In Dee Henderson's "Missing," a Wyoming sheriff is called to Chicago when his elderly mother goes missing. Paired with a savvy Chicago cop, the two realize her disappearance is no accident, and a race against the clock begins. Dani Pettrey returns to Alaska with "Shadowed," introducing readers to the parents of her beloved McKenna clan. Adventure, romance, and danger collide when a young fisherman nets the body of an open-water swimming competitor who may actually be a possible Russian defector. Lynette Eason's "Blackout" delivers the story of a woman once implicated in a robbery gone wrong. The loot has never been found--but her memory of that night has always been unreliable. Can she remember enough to find her way to safety when the true culprit comes after her? I was so excited to read the second story since I'm a fan of the author's Alaskan Courage series. It was cool to get to know Ben and Libby and see how they met as young adults. It is set during the Cold War, and the politics with the Russians and espionage made for high tension as the murder is investigated. I would have liked more on the relationship and romance, but it was still a great story and had a full plot. The last story Blackout had one of my favorite suspense tropes- amnesia of the victim. For me it automatically ramps up the anticipation and anxiety while the holes are being filled and not knowing where or when the danger will strike. A great conclusion to the collection. Don't miss the next collection by these three suspense authors . . . In Dee Henderson's novella "Betrayal," Janelle Roberts is freed--thanks to people she doesn't know--after serving six years of a twenty-year sentence for a murder she did not commit. But a murderer is still at large, and Janelle needs to be somewhere safe with someone she can trust. She may not survive another betrayal. In Dani Pettrey's "Deadly Isle," Tennyson Kent is trapped on the isolated island of her childhood by a storm surge, and she is shocked when the typically idyllic community turns into the hunting grounds of a murderer. Cut off from any help from the mainland, will she and first love Callen Frost be able to identify and stop a killer bent on betrayal before they become the next victims? In Lynette Eason's "Code of Ethics," trauma surgeon Ruthie St. John saves the life of Detective Isaac Martinez. After a betrayal leads to him getting shot and then attacked while in recovery, Isaac is now a key witness determined to testify. But someone is intent on silencing him--and those around him--forever. Together, Ruthie and Isaac go on the run, desperate to escape the killers hunting him. Wow! Each of these stories is amazing, yet so different from each other. I enjoyed them all equally and felt they complemented each other so well. 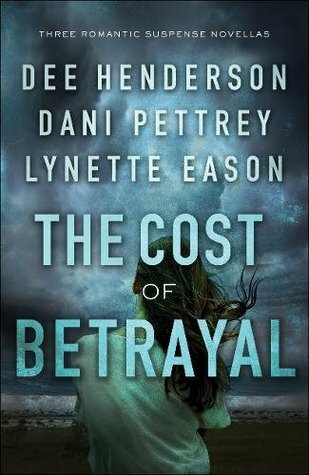 The first story "Betrayal" from Dee Henderson is so fascinating, I loved seeing the process of a cold case break wide open at the hands of a couple of FBI agents who were in the right time at the right place. I thought it was interesting how it switched perspectives to show a broader view of the story. I appreciated that the conclusion was so realistic and didn't take the conventional approach that I expected. "Deadly Isle" by Dani Pettrey was intense and had great romantic tension! The pace was swift yet the characters felt fully developed as they work to investigate and solve the mystery so tragically close to home. Teni and Callen have a history and the memories that surfaced while they helped each other during the raging storm brought a sense of belonging and relief. "Code of Ethics" by Lynette Eason also had a fast pace and the sense of working against the clock. I liked that Ruthie was comfortable with law enforcement and their procedures because of her family, even though she is a doctor. There are twists and turns as she and Isaac dodge the killers while searching for the evidence that will prove his suspicions correct. I loved the attraction and bits of romance that were slipped in as Ruthie and Isaac got to know each other while also depending on each other for their lives. Welcome to THE COST OF BETRAYAL Blitz with JustRead Publicity Tours. THREE BESTSELLING ROMANTIC SUSPENSE WRITERS REUNITE FOR NOVELLAS OF DEADLY BETRAYAL. Goodreads | Amazon | iTunes | Christian Book | Book Depository | Books-A-Million! But the person had already turned back to the port. He inserted the needle. He continued to ignore her. Fear for the man in the bed overrode anything else. She lunged forward and shoved the nurse away. He stumbled backward with a surprised cry while the syringe fell from the port and tumbled to the floor. He shot to his feet. His dark eyes glittered, menace emanating from him. Chills enveloped Ruthie. He was no nurse. He sprang at her and wrapped his fingers around her throat. She let out a scream before his grip tightened and cut her air off. This man was here to kill her patient. But he was going to do his best to kill her first. Isaac woke at the sound of the scream. Instinct had him reaching for his weapon only to find his hand flailing uselessly at his side. Sounds of a scuffle reached him and he tried to speak. A crash sounded. Another scream. Isaac worked himself into a sitting position, hating the weakness and the flashes of pain. The door opened and several hospital workers rushed in. The first woman, dressed in street clothes, scrambled to her feet and focused on him. “You need to lay back down. You don’t want to move wrong and tear that wound open.” She sounded hoarse. She jolted and snapped her gaze up to meet his. “I’m Dr. Ruthie St. John, the surgeon who removed the bullet in your shoulder earlier today. As for who tried to choke me, I’m not sure. But he was trying to jam this into your IV.” She held up a syringe. For more excerpts from the other stories in The Cost of Betrayal, be sure to check out the other stops on the tour! 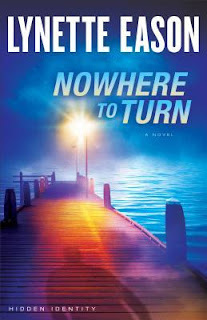 Dee Henderson is the author of numerous novels, including Taken, Undetected, Unspoken, Full Disclosure, and the acclaimed O'Malley and Uncommon Heroes series. Her books have won or been nominated for several prestigious industry awards, such as the RITA Award, the Christy Award, and the ECPA Gold Medallion. Dee is a lifelong resident of Illinois. Dani Pettrey is a wife, mom, grandma, and the author of the Chesapeake Valor series, and the Alaskan Courageromantic suspense series, which includes her bestselling novels Submerged, Shattered, Stranded, Silenced, and Sabotaged. Her books have been honored with the Daphne du Maurier award, two HOLT Medallions, a Christy Award nomination, two National Readers’ Choice Awards, the Gail Wilson Award of Excellence, and Christian Retailing’s Best Award, among others. She feels blessed to write inspirational romantic suspense because it incorporates so many things she loves—the thrill of adventure, nail-biting suspense, the deepening of her characters’ faith, and plenty of romance. She and her husband reside in Maryland, where they enjoy time with their two daughters, a son-in-law, and a super adorable grandson. Lynette Eason is the bestselling author of Oath of Honor and Called to Protect, as well as the Women of Justice, Deadly Reunions, Hidden Identity, and the Elite Guardians series. She is the winner of three ACFW Carol Awards, the Selah Award, and the Inspirational Reader's Choice Award, among others. She is a graduate of the University of South Carolina and has a master's degree in education from Converse College. Eason lives in South Carolina with her husband and two children. (1) Winner will win The Perfect Hideout JustRead Book Box!!! It includes a copy of The Cost of Betrayal and many more goodies! For more info on the box or want one yourself, check out our Etsy Shop. Be sure to check out each stop on the tour for more chances to win. Full tour schedule shown below. Giveaway will begin at midnight September 4, 2018 and last through 11:59 PM EST on September 12, 2018. Winners will be notified within a week of close of the giveaway and given 48 hours to respond or risk forfeiture of prize. Due to shipping cost, only US mailing addresses valid. For our giveaway rules and policy, click HERE. Be sure to visit a stop on the tour each day for extra entries! There is an incredibly compelling jump-start to this book. It was hard to put down and I had to fall asleep with the lights on! Several twists and turns kept me guessing throughout the plot. Dani and Adam were great main characters and their freindship-romance developed in a believable way. The villains were realistically flawed, but still unnerving. This was a perfect suspense novel for me and I will definitely be reading more by Lynette Eason! Free e-book! Download it at Amazon here. As a member of the North Cascades Smokejumpers, Alexia Allen always takes care of the equipment that keeps her safe. So when she nearly dies in a fire due to equipment failure, she knows something is up. Ordered to take time off while the investigation continues, Alexia makes a last-minute decision to recuperate at her mother's home and attend her high school reunion. Yet trouble seems to be following her, and within hours of arriving home she's involved with murder, arson--and a handsome detective. But the conflicts ahead are nothing compared to the ghosts of her past. 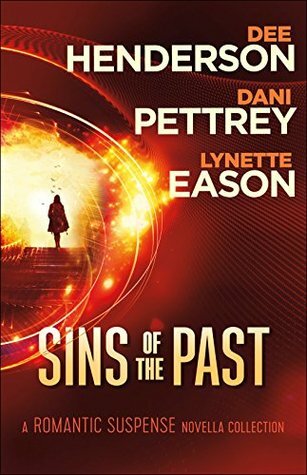 As she strives to remember and forgive her family history, she must also decide if the secret she's been guarding for the last ten years must finally come to light. 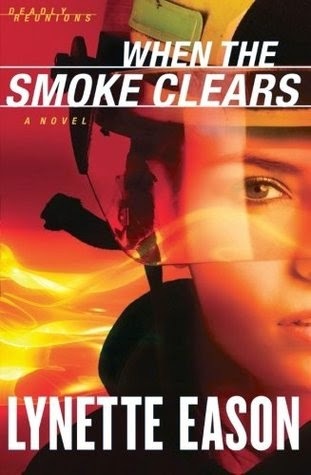 Chock-full of the suspense and romantic tension readers have come to expect from Lynette Eason, When the Smoke Clears is the explosive first book in the Deadly Reunions series.